Mr. Yu is a senior adviser of Kim & Chang Law Office and also teaches at Sejong University as a chair professor. He retired in September of 2010 after 37 years of distinguished service with the Ministry of Foreign Affairs and Trade where he served as Minister of Foreign Affairs and Trade from 2008-2010. He started his foreign service in Japan in 1976 as a young diplomat and returned as Ambassador to Japan in March 2007. There he advised on various political and economic issues concerning both the private and public sector with a view to revamp bilateral relations until he left to join the Lee Myung Bak administration as a cabinet minister in February of 2008. Mr. Yu’s experience extends across a broad range of issues in the field of international relations including security issues, relations with the US, and nuclear negotiations with North Korea. 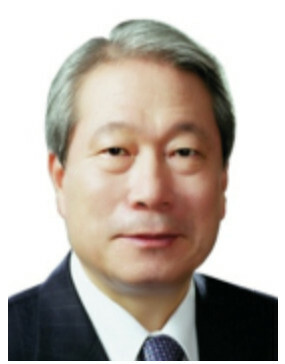 He has served as Political Counselor and Deputy Chief of Mission of the Korean Embassy in the United States respectively in the 1980s and 1990s and also served as Minister of the Permanent Mission to the United Nations in New York. Mr. Yu also served as Ambassador for Anti-Terrorism and Afghanistan Issues, served as Ambassador to the State of Israel in 2002 and then transferred to the Philippines in 2004. He was appointed to 2nd Vice Minister in July 2005 and later he served as 1st Vice Minister of Foreign Affairs and Trade until December 2006. Mr. Yu graduated from Seoul National University (B.A 1970) and also studied at the Hague Institute for Social Sciences (Diploma 1974). He was awarded the Order of Service Merit, Red Stripes in 1996 and the Grand Cross of the Order of Sikatuna in 2005 from the Government of the Philippines.